Peter Salovey and his colleague Jack Mayer defined and tested the concept of emotional intelligence; they wrote the seminal papers in the field in the early 1990s that launched the international scientific EQ movement. Dr. Salovey is now President of Yale University, as well as Chris Argyris Professor of Psychology and former chair of the Psychology Department at Yale. He has written or edited eight books and has authored more than 200 scientific publications – including The Wisdom in Feelings, The Emotionally Intelligent Manager, and Emotional Development and Emotional Intelligence. Professor Salovey is a founding editor of the Review of General Psychology and an associate editor of the new APA journal, Emotion. His course in Psychology and Law was the most popular course in Yale University history. He is a Justice of the Peace and a licensed psychologist in the State of Connecticut. In his leisure time, he plays stand-up bass with the Professors of Bluegrass. 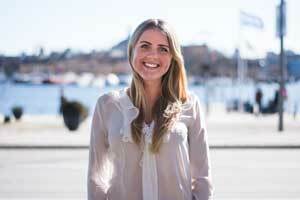 Anabel is the lead author of the SEI-YV, Six Seconds’ emotional intelligence assessment for children. She’s coauthor of Self-Science, the emotional intelligence curriculum, as well as numerous articles, books, an programs including Trust or Doubt: Essential Strategies to Co-Create Thriving Teaching Teams, the Think Feel Act Cards, and A Teacher’s Daily Dose of Optimism: Your EQ Prescription for Thriving. 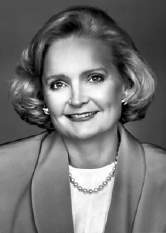 Karen began her involvement with emotional intelligence when she founded the Nueva School (Hillsborough, California) in 1967. In planning the school she met with educators, political & business leaders and Nobel Laureates to consider the educational needs of our society. She saw that the central foundation of a school should be not simply giving students knowledge, but giving them the opportunity to develop wisdom. She created the nation’s first emotional intelligence curriculum, Self Science, a program she facilitated for nearly 3 decades. Karen is the Chairman of the Board for Synapse School, started by Six Seconds. Fred is Dean of the School of Accounting & Taxation at Golden Gate University. He received his JD from UCLA, practiced as a tax lawyer for 18 years, worked as a tax accountant for 18 years, and managed a couple of years as a management consultant. He has been a member of the GGU adjunct tax faculty since 1983, and a member of the tax advisory board. Fred retired from PricewaterhouseCoopers (PwC) in 2014 and has served as the dean of the Bruce F. Braden School of Tax since October of 2014. He holds an active CPA license in California and Colorado and is an inactive member of the California State Bar. Fred and his wife Ronda have two kids (both off in grad school), who provide constant coaching on the world from a millennial student’s perspective. Fred loves to play tennis and golf and is constantly puttering around the house with his tools. An entrepreneur and executive, after starting numerous businesses, Ayman focused on creating wellness. 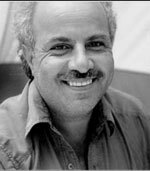 In 1989, Ayman founded and funded Enchante Entertainment (www.kidseq.com), a media company dedicated to promoting Emotional literacy in schools and for families. 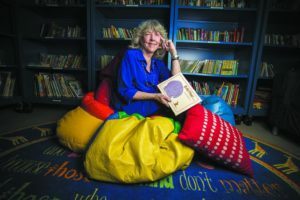 Enchante published the Emotional Literacy Series and created, produced and released two award-winning feature films and three television series for children. These were created in conjunction with media partners SONY, Warner Brothers and HBO, along with producers Norman Lear, actress Shelly Duvall and former Disney animator Jim George. In 1993 Ayman co-founded FEEL, the Foundation for Education in Emotional Literacy (www.feel.org), the first nonprofit organization committed to raising awareness for emotional literacy In 1997, FEEL merged with 6seconds, creating an umbrella organization dedicated to promoting the understanding and practice of emotional intelligence in schools, families, organizations and communities. With Dr Robert Cooper, Ayman’s international best-selling book, Executive EQ, Emotional intelligence in leadership and organizations, released in 1996, was the first book to bring the emotional intelligence concept into the business world. Ayman’s current work includes a new book titled Sacred Commerce: Stories from the Merchant Priesthood, the story of how business and spirituality have walked hand in hand in our history and can do so today. Ayman is illustrating Sacred Commerce through the WholeLife Centers and Urth.TV, a social network for people who value greater consciousness, healthy living and a sustainable planet, where he will introduce the Sacred Commerce Platform. Deborah Lustig is a cultural anthropologist whose research has focused on gender and education in the United States and Kenya, where she was a Fulbright Senior Scholar in 2004-5. 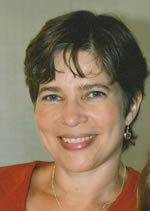 Dr. Lustig received her Ph.D. in anthropology from the University of Michigan. Her articles about teenage mothers have been published in the journals Anthropology and Education Quarterly and Childhood and in the new book Childhood, Youth, and Social Work in Transformation: Implications for Policy and Practice(Columbia University Press, 2009). Dr. Lustig is a Research Associate at the Center on Culture, Immigration, and Youth Violence Prevention at UC Berkeley. As a Co-Founder and CEO at Peppy Pals, she is devoted to changing the educational system for children to make sure that EQ and IQ goes hand in hand. Peppy Pals, founded by Rosie Linder in 2013, is a pioneer within the field of digital, play-based social and emotional learning (SEL/EQ) for children. They are the first company in the world that has gamified EQ for children without using text or language, and has since start developed a series of educational, award winning apps, books, movies and activities that nurture children’s ages 2-8 Social & Emotional Intelligence using story-telling and humor. The Swedish company is, since September 2018, supported by LEGO Brand Group. Mark is an expert on business strategy & product innovation focused on consumer internet. 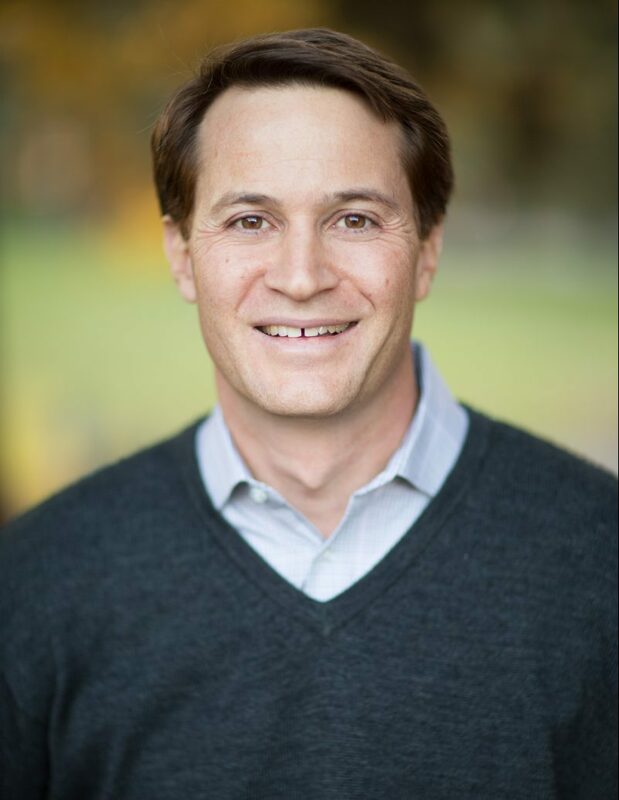 After earning his MA in Economics from Washington University in St. Louis, then MBA with Distinction at Harvard, Mark served on a range of strategy, payments, and innovation projects at Boston Consulting Group and BCG Digital Ventures. He went on to run Corporate Strategy & New Ventures for PayPal and the Mobile business for eBay, N. America. Mark became interested in human behavior as a student of Sociology, Literature, pre-med/Psych and Economics. His interest in emotional intelligence was spurred by joining Six Seconds “Practitioner Certification” in 2003 (taught by Josh!) which had a profound impact on his worldview – both internally and externally. He now is working to learn more by practicing & spreading EQ in various coaching roles — from supporting kids & community in little league & soccer, to advising execs and serving on boards for innovative companies. For Six Seconds, Mark brings strategy, operations & innovation expertise in support of our “noble goal” of having 1 billion people practicing emotional intelligence worldwide. Chairman, World Business Academy, and Managing Director of MDC, a private investment firm that partners with management teams to buy and build “Companies That Make a Difference.” He is also a Managing Director of the American Infrastructure MLP Funds, an innovative family of private investment funds targeting the outperforming asset class of Master Limited Partnerships. Before co-founding MDC in 1984, Mr. McCown spent 18 years at Boise Cascade Corporation in a series of general management positions. He was Senior Vice President, Building Materials Group and President, Boise Cascade Home and Land Corporation at his departure. 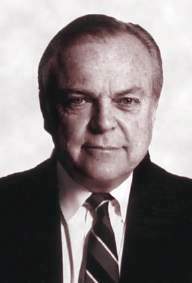 He received an MBA from Harvard University where he served as assistant to Professor Georges F. Doriot (founder of the U.S. venture capital industry), and a BS in mechanical engineering from Stanford University, where he served as a trustee during the 1980’s, chairing the Finance and Investment Policy Subcommittees. He has served as Chairman, Vice Chairman or director of over 30 public and private companies and currently is a Founding Board Member of ChrysCap, India’s first indigenous private equity firm. George also serves on the Board of Overseers of the Hoover Institution on War, Revolution & Peace and the Stanford Institute for Economic Policy Research. He is a Director of Outward Bound USA (Finance Committee Chairman), The American Himalayan Foundation and the Bay Area Council. He works closely with the Central Asia Institute, which builds schools in the remote mountain regions of Northern Pakistan and Afghanistan. In Memoriam: Candace Pert, Ph.D.
Dr. Pert served as a member of Six Seconds’ advisory board from 2002 until her death in 2013. Dr. Candace Pert was an internationally recognized pharmacologist who has published over 250 scientific articles on peptides and their receptors and the role of these neuropeptides in the immune system. Dr. Candace Pert received her Ph.D. in pharmacology from Johns Hopkins University School of Medicine, served as Chief of the Section on Brain Biochemistry of the Clinical Neuroscience Branch of the National Institute of Mental Health (NIMH), held a Research Professorship in the Department of Physiology and Biophysics at Georgetown University School of Medicine in Washington, DC, and then served as the Scientific Director of RAPID Pharmaceuticals, Inc. In the mid-1980’s, while researching the function of classical immune cell receptors, such as CD4, in brain, Dr. Pert, with her collaborator Dr. Michael Ruff, developed the first of a new class of treatments for HIV/AIDS, the viral entry inhibitor Peptide T. This non-toxic experimental therapeutic blocks the virus from binding to its cellular chemokine receptor CCR5 and infecting the cell. Recent human studies show that Peptide T substantially reduces HIV in the blood and the treatment resistant, persistently infected cellular reservoirs which do not respond to current therapies. Dr. Pert holds a number of patents for modified peptides in the treatment of psoriasis, Alzheimer’s disease, chronic fatigue syndrome, stroke and head trauma. One of these, peptide T, is currently undergoing research, in the United States, for the treatment of AIDS and neuroAIDS.